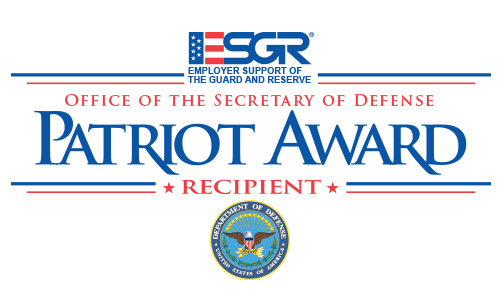 On September 4th, Trost Marketing was recognized by the ESGR (Employer Support of the Guard and Reserve) with the Patriot Award. The Patriot Award reflects the efforts made to support citizen warriors in the workforce. This Department of Defense awards honor the sacrifices made by so many employers year after year. At Trost Marketing we are more than marketing and receiving the Patriot Award is a direct reflection of our culture in action. We are committed to doing what is right and supporting our team members. We are excited to see the difference Airman Knight makes in the United States Air Force and wish her the best in her new endeavors. Greg Pylate, Vice President of Sales for Trost Marketing was nominated to receive this award on behalf of Trost Marketing by Airman Hannah Knight. 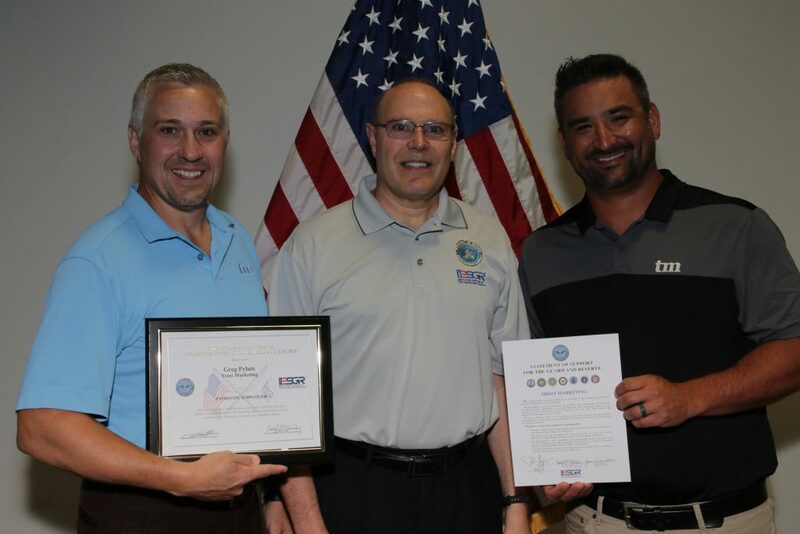 Trost Marketing recognizes the importance of supporting employees in their service to our country because the Moore DM Group leadership has set a strong precedent of supporting our armed forces and we are honored to be recognized with this award of distinction. Please join us in congratulating Greg Pylate and the entire Trost Marketing team. This entry was posted in News by Evan Uyetake. Bookmark the permalink.